I hope I remember my daughter’s childhood better than my own. 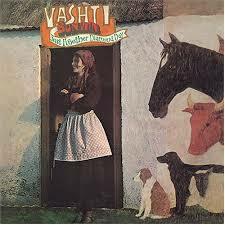 I was having a conversation with my wife and mum the other day about folk singer Vashti Bunyan. As I was talking about the one and only time I had seen Vashti play live in Brighton, my mum pointed out that we had in fact both seen her live together, on a bill with a few other folk and folkish singers almost a decade earlier.